Any proper coffee connoisseur knows that, in order to get the best taste, coffee needs to be ground as close as possible to the making of the drink. When we want the best coffee grinder for the job, instantly many names spring to mind; all of them will deliver a less or more satisfying ground. But, one in particular, seems to get the highest standard, and that is the Bodum Bistro Electric Burr Coffee Grinder. It seems, as though, that when assembling this machine, its creators have made it their business to contemplate about everything related to the action of making a cup of coffee. Basic, efficient, stylish and futuristic – all of these characteristics are ringing true when discussing the overall look, feel and action of Bodum’s electric coffee grinder. With plenty of colors to choose from, this simple and elegant item engages the user with the clarity of design and efficiency of use. Bodum bistro electric coffee grinder is one of the best burr coffee grinder available in the market. 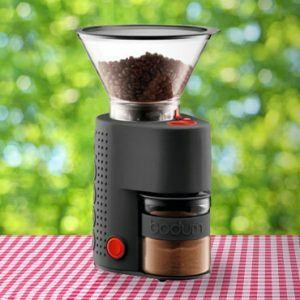 So in this Bodum coffee grinder review, let’s take a look at how this product stands up. In some ways, the main feature of this grinder is its high-quality combined with an elegant appearance and low cost. Even with its simple design, the Bodum electric coffee grinder packs in enough features that a coffee lover needs. In coffee making, let there be no doubt, the size of the ground does matter. It will decide how stunningly or horrendously your drink will taste, whether it will sting you with satisfying bitterness (if that’s what you’re after) or delight you with gorgeous smoothness. Being able to choose the perfect grinding size for your taste is everything. It is crucial for one who understands about quality coffee making. Bodum bistro coffee maker’s working principle is based on simplicity and efficiency. Bodum has wisely figured out that instead of complicating the user’s life with too many settings, lesser amounts will also do the job. At 14 settings, a person will not feel as if life has just gotten too complicated to enjoy a simple and strong cup of coffee. 14 grinding settings are all a person really needs. Covering a whole range from coarse to fine, it satisfies your desire for any drink. From espresso to filter to a French press, it does them all. Additionally, in case you want a different, more personalized grind, you have also in-between settings which can be easily adjusted. Are you familiar with those sturdy, simple, durable things that keep on delivering quality over and over and over again, even many decades down the line? It is known as engineering at its best. We all have a soft spot for this kind of things because no one will argue over their supreme quality. These things are built to last, and much thought had been put into them. Preparation is the key and as the saying goes “Fail to prepare, prepare to fail.” With Bodum bistro burr grinder you will succeed to prepare the best cup of coffee each and every time. It is for the simple reason of its grinder being the best it can be. 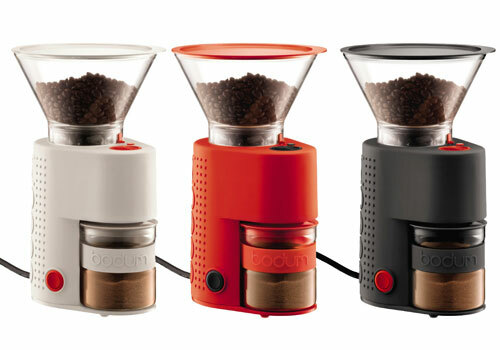 Bodum coffee grinder is conical, which makes it iconic. Burr model spins slower than the wheel one. This fact makes it less messy and much quieter. If you are a fan of oily and flavored coffees, here’s your grinder. 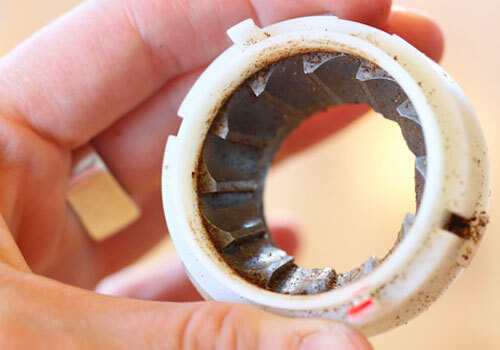 Bodum burr grinder won’t clog like others do. 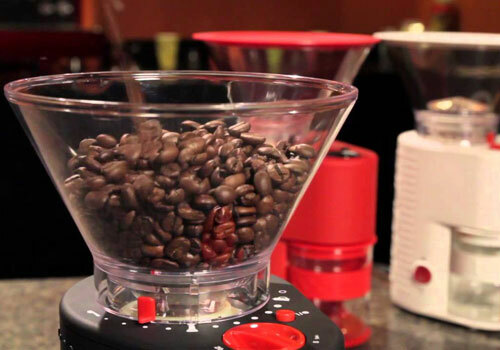 It is the best kind of grinder to use for these varieties of coffee. Consider the fact that in the process of packing tremendous quantities of coffee as it is done, it’s easy for stones to sneak in. Every pack of coffee might contain a few. A stone can ruin a coffee grinder. 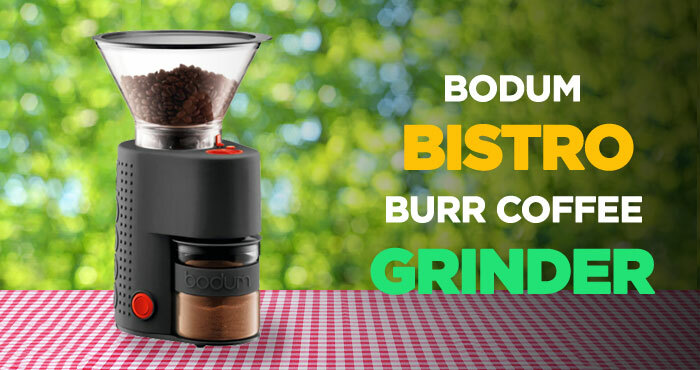 Bodum bistro burr coffee grinder doesn’t leave it to chance. It features a smart stone cut-out option which will immediately recognize whether a stone is in the grinder. It will, in turn, automatically operate its “friction clutch“, so that the stone doesn’t get any further. If it were to get further into the machine, it would undoubtedly and successfully ruin it. In the old days, we would’ve spread the beans on a big table to clear out any stones or other discrepancies. 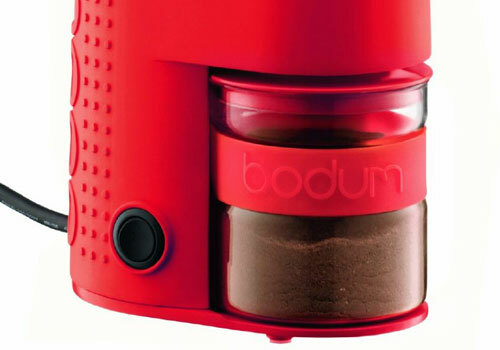 With Bodum burr electronic grinder pre-cleaning isn’t necessary; it is as modern as they come. Trust your faithful grinder to do for you all the dirty work. Most grinders on the market use plastic containers to catch the ground coffee in. That is, however, wrong, since coffee and plastic aren’t really compatible. When in plastic, the powder gets statically charged and flies everywhere, creating a horrendous mess. None of this will happen here. Simplicity and efficiency rule, remember? The ground catcher is made from borosilicate glass. To differ from a normal glass, this kind is highly resilient to heat. Unlike the plastic, conversely, it isn’t static. This is accompanied by a silicon/nylon lid, which further assures the cleanliness of your coffee making process. Bodum bistro coffee maker is a non-spill coffee grinding machine. The borosilicate container comes also with a silicone band to provide a non-slip holding surface, something of importance when attempting to handle it with wet hands. Only 20 sec. of ground for each 5 min. Bodum bistro grinder offers everything a lover of a decent cup of coffee is looking for. If you are interested in investing in a grinder that time after time will provide you with a great quality coffee of your chosen grinding, look no further. No more messing around with complicated instructions and horrendously dirty working area. Silent operation mode and ground down to perfection with no-spill action are what you’re going to enjoy once you have purchased your Bodum grinder. Experience the full taste of coffee made in a burr grinder. 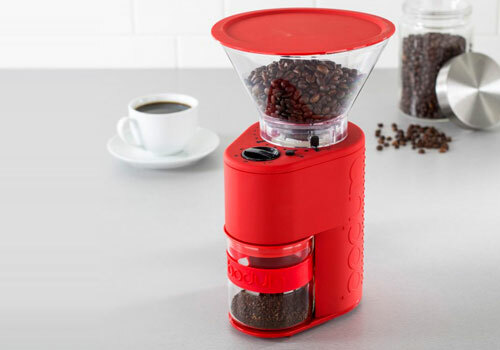 Marvel at the modern and practical look and feel of Bodum bistro coffee grinder in your kitchen. It is a delight for the eye as much as to the smell and taste buds. Make your favorite cup of coffee in the morning without waking up the whole household. When preparing coffee with Bodum, you don’t need to make allowances and sacrifices. It can be quite frustrating, especially when you’re in a rush, to face the mess-aftermath around the process of coffee-making. Now you can simply let yourself relax from the inevitable need of cleaning. Coffee made with brilliance and delivered on time: fast, simple, pure – that’s what you can expect with Bodum bistro grinder. 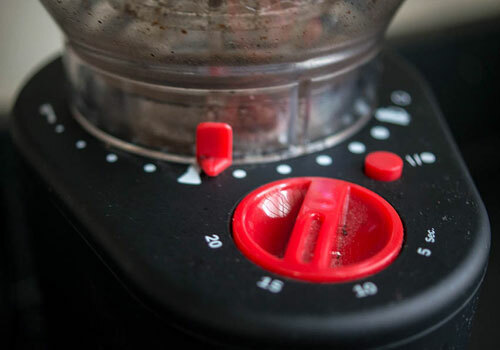 From a burr grinder to a rubber outer skin to a static-free, non-plastic container, everything in this appliance is geared towards the comfort of use and quality. Coffee is one of those things that people either love or hate. And as it happens, most people love it. Of that range, there are those who can truly appreciate a good cup of coffee. They are probably the ones reading these words at this particular moment. For that reason, all of the coffee lovers look for and appreciate a good coffee grinder. There are many models of grinders out there, and many of them are good. Although deciding upon the type of coffee grinding machine you’d like to purchase isn’t one of your major life decisions, it is still desirable to match the input with the output. Obviously, you want your money to talk its way to the best possible option for you. You want to know that when you invest in Bodum bistro electric burr coffee grinder, you get excellence. That is only a fair desire. It is human and normal. We all want quality for our money. Every detail and step in the process of best coffee making have been outlined and prepared to outperform anything else available widely on the market. They have even considered the way coffee beans jump during the grinding action. And they made sure to apply the best possible surface acknowledging the significance of that. Bodum grinder is a visionary product. Everything about it is a result of intimate familiarity with the grinding process: good-looking & non-slip outer rubber surface, burr grinder, non-spill & static-free cup. As said previously, “fail to prepare, prepare to fail.” Once you set your steps into a shop that sells those, make sure to take your time for a thorough check and compare. Make it your interest to chat to the salespersons. They are there to help you and explain in depth about any feature or function that takes your interest or raises a question. 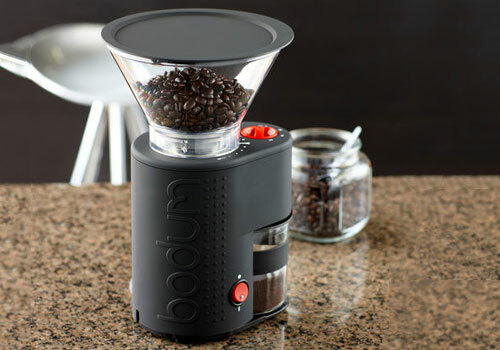 What Bodum bistro burr grinder offers is great, yet still, it might be not for everyone. Knowing your needs and perhaps having an experience of a few other machines to compare to will help you arriving at the right decision. Ask to observe a working test in the store, if applicable. Read the manual carefully and follow it closely. The company issues two years warranty. If any problem occurs, you can always contact them. 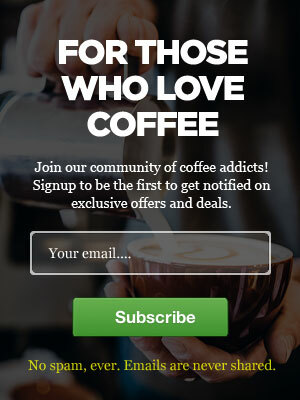 Bodum Coffee Grinder was reviewed by Tim Forman on August 3, 2018. *Disclaimer: Our Bodum bistro electric burr coffee grinder review is based mostly on our expertise and the experts we consulted with and the information provided by the manufacturers. We do test many products, but it’s not possible to test them all. As such, please remember the above recommendations are our opinions, and before using any product, please check manufacturer’s website for more information.